Where will this fit in Warner Bros’ plans? According to Variety’s report, this would seem to fit as a new chapter in the same ongoing continuity that the studio is trying to fix, and it fits. After all, we’ve seen more than hints of the Fourth World in two films. Cyborg’s origin in Justice League directly depends on the New Gods’ Mother Box, though its origins have been left cinematically vague. The Parademons of Apokolips appeared in both Batman v Superman: Dawn of Justice and Justice League, where they were led by Steppenwolf. Rumor has it that original DCEU architect Zack Snyder had written an ending in which Steppenwolf was executed by Darkseid for his failure to conquer Earth. That’s not the ending we saw, but that just leaves things a little more open for DuVernay. 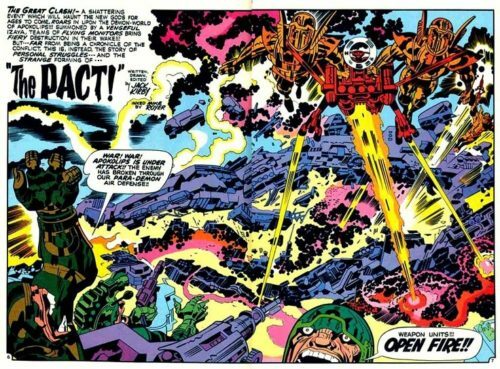 Originally appearing in 1971, Kirby’s saga posits two worlds born of the final battle of the Old Gods. Existing outside time and space, the New Gods are sharply defined as good and evil. On the good planet New Genesis, Izaya the Highfather benevolently rules over a group of idealistic heroes, with one exception: his son, Orion the Hunter, a hero barely suppressing his violent nature and whose face has been masked into something more classically handsome by his Mother Box. Of course there’s a dark side, and he’s literally named Darkseid. Ruler of Apokolips, Darkseid has enslaved his population, but one citizen has escaped his grasp. 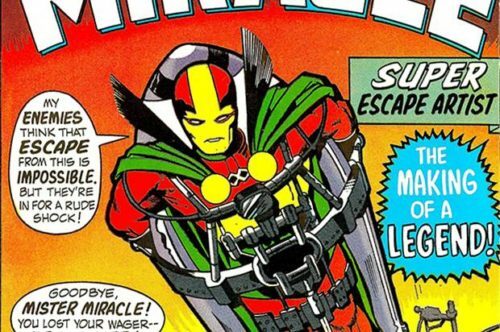 That would be Scott Free, known on Earth as Mister Miracle, and this free spirit has also caused Big Barda to rebel from her calling as one of Darkseid’s Female Furies. Basically, there’s a lot of rich modern mythology to be unpacked. Colorful, vibrant, and full of Kirby’s creative vision, the Fourth World seems to be too much for one film. There is, of course, a secret as to why there’s one dark scion on New Genesis and one figure of hope on Apokolips, and the Pact struck for a balance between the two could take up a trilogy of its own. That’s probably what Warner Bros is counting on — and really, the Justice League would just kind of muddy it. 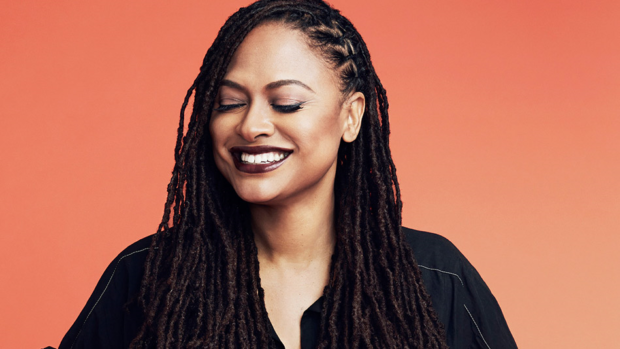 DuVernay can begin New Gods with the other side of that Boom Tube that returned Steppenwolf to Apokolips. And then just ignore the superheroes on Earth, even if Darkseid does search for the Anti-Life Equation which would allow him to rule the universe. The other thing I’d ask — make these heroes practical effects, not CG creatures like Steppenwolf was. Aside from being an utter waste of actor Ciaran Hinds, it was distancing for a character who should have been visceral and frightening. Instead, he was a videogame villain. Let’s get a great actor to be Darkseid, and truly inhabit the role. (Wouldn’t Ron Perlman be something?) Get a great actor to portray the conflicted soul of Orion. Daniel Radcliffe as Scott Free? I’ve already seen joking speculation about Oprah Winfrey playing Granny Goodness, the torturer/trainer of the Female Furies, but let’s go crazier: Octavia Spencer could really show her chops and surprise people playing such utterly irredeemable evil. 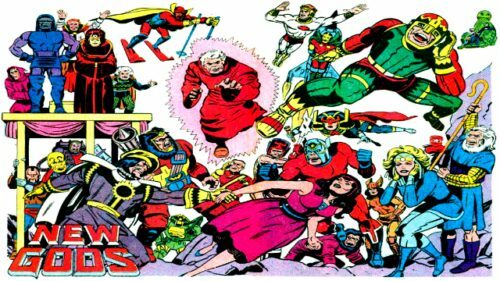 Kirby fans, who would you want to see as the New Gods?